When I started my job, my company provided me with a cell phone. I already had a cell phone and decided to keep it in addition to my work cell phone. I use my personal cell phone for personal calls and my work cell phone for work calls. Why? Privacy. It is very tempting to save money by getting rid of your personal phone. But if you decide to do so, be aware you may be giving up some of your rights. What can your company do with your phone they issues you? Basically anything. Laws are different from state to state, but most states recognize that if the phone is employer-provided, the employer is going to have the right to monitor the device given to you. This includes tracking you through GPS. Most companies aren't going to go that far...but you need to be aware it is possible. So how do you protect yourself? Make sure you understand your company's policy. If you don't have a handbook, ask HR what the "rules" are regarding the phone. If you decide to use your company phone for personal use, back up your data to your home computer. If you quite or get fired, an employer could remotely wipe the phone and you would loose everything. Also use common sense. If you wouldn't send it through a work email...don't send it through a work phone text. I am not an overly private person and I completely trust my employer...but I enjoy keeping my personal life and work life on different phones. What are your thoughts? 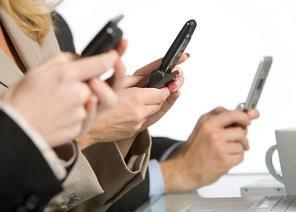 Do you use your work cell phone for personal use?